CI Frank Stave finds himself on a nerve-racking hunt for a murderer in a world where everyone is fighting for survival. Hamburg 1947: It is the year of extremes. After a bitterly cold winter of starvation, the bombed city groans under excruciating heat and Chief Inspector Frank Stave is confronted with a new case. 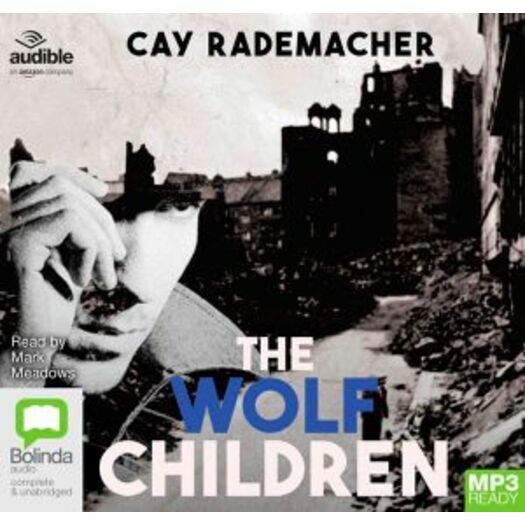 In the ruins of a shipyard, the corpse of a boy is found and Stave's hunt for the killer leads him into the world of 'wolf children' - orphaned children who have fled from the Occupied Eastern Territories and are now united in gangs. Cay Rademacher was born in 1965 in Northern Germany, but lives now in Southern France. He studied history and philosophy in Cologne and Washington, D.C. and is working as a journalist. He is also the author of several thrillers, including the trilogy on 'Oberinspektor' Frank Stave, who is fighting crime in the ruins of British-occupied Hamburg in the 1940s.